Posted on November 16, 2013 by izzy Posted in Uncategorized	. I’m Rob Lockhart, the Creative Director of Important Little Games. If you were to follow me on twitter, I’d be grateful. ‘Make Something Original’ is, I think, the most valuable thing that Indies can offer. While big-budget games can have original elements, I think it’s safe to say that AAA game developers are unwilling to risk wholly original games. In contrast, independent game developers are willing and eager to create whole new genres, some of which stretch the entire definition of games. Running parallel to Independent games is a new renaissance in educational games, lead by academic institutions like Games*Learning*Society and the Center for Games and Impact , medium-sized game studios like Filament Games and E-Line Media and non-profits like the Institute of Play. These groups are proving the efficacy of games for learning every day. Need to Know. This is the stage where a student is motivated to learn something. For example, having students play a few rounds of Cannons (or Worms, or Angry Birds) might motivate them to learn ballistics formulas. Content or Skills. This is what most people think of when they think of learning. All modern well-designed games teach the player the skills and knowledge necessary to play as part of the initial play experience. A few make this play experience about something with real-world analogs, and thus teach real-world skills or content as a side-effect of play. 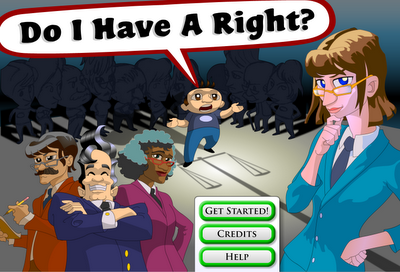 For example, this game about running a constitutional law firm. Assessment. Most educational games are actually in this category (though they may claim to be in category 2). Examples are Math Blaster and Mandarin Madness. When risk-averse organizations attempt to design games for learning, what results is often a proven game mechanic (such as Mario-style platforming) paired arbitrarily with a learning goal (like diabetes management – this is a real game). When indies experiment with educational game design, the results are not always polished, but are usually at least cohesive. There is already a lot of crossover, in terms of personnel. Some of the most innovative independent designers have already dipped their toes in the water of educational games, perhaps recognizing the usefulness of the independent design philosophy to pedagogy. On the top of the list is Eric Zimmerman, a games educator as well as maker of educational games. The studio he founded, Gamelab (no longer operating, but still influential), worked on several educational games for Lego, and, with Katie Salen‘s leadership, eventually spun off both the Institute of Play and Gamestar Mechanic, a game that teaches game design. Jesse Schell, who wrote the touchstone book “The Art of Game Design,” has been known to create educational games. Most of his company’s work is for-hire, but Schell Games has developed a name for itself when it comes to creating learning experiences, especially for children. As a former Disney Imagineer, Schell seems to have a gift for inspiring childlike wonder. Robin Hunicke, famous for Sims 2 and the dearly departed Glitch, recently started a new studio, in part to create transformative games: Funomena. Steve Swink, who you may know from his current project SCALE, was lead designer of Atlantis Remixed (a literacy game for high school kids at Arizona State University). John Murphy is 1/8th of the team behind Octodad. He also has another job, as game designer at Chicago Quest, a middle school with a mission to implement game-like learning throughout their curriculum. There was also a familiar name announced as a nominee for Most Significant Impact at the Games for Change festival. Lucas Pope who has recently gained notoriety for the game ‘Papers, Please’ was nominated for an earlier game ‘Republica Times,’ which is about the ethics of journalism. 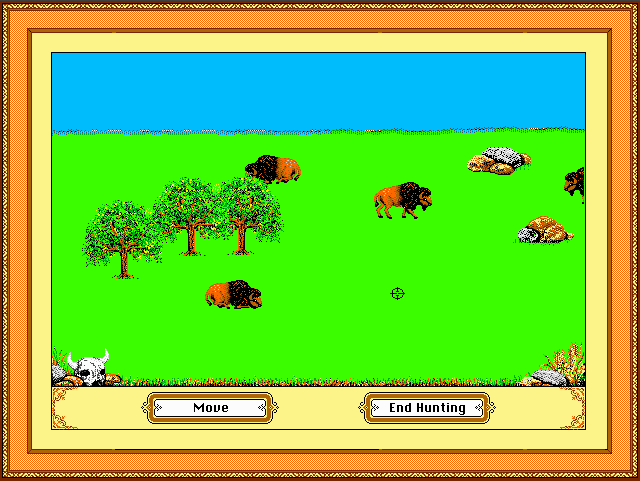 If only digital bison were as plentiful now as they were in the 1990s. Sigh. What’s Holding Indies Back from creating Educational Games? First, a small criticism of the indie scene I love so dearly: there is a significant slice of our community who create games primarily in order to recapture the glory of the games of their childhood. That is to say, they want to be the triple-A developers of the early 90s. This is fine on its own, but it’s not the most fertile ground for potential crossover between indies and eddies (as I hereby dub educational game developers). This brings up the topic of history. Educational games had a golden age in the early 90s with games like Carmen Sandiego, Oregon Trail, and Sim City (all of which have become ongoing franchises). Shortly after, there was an explosion of content in the category called ‘Edutainment.’ Edutainment was, by and large, a series of ineffective, boring tarted-up flash-card systems which have given educational technology a stigma that we are only now starting to overcome. It is partly the fear of returning to this state that led me to write this rant on Gamasutra. It is this fear that may be holding back other indies from designing games for education. The idea that pedagogical theory is a rigorous and difficult discipline might be another barrier. There is some truth to this supposition — there is a body of knowledge about effective teaching which would benefit any prospective eddie. This should not scare us away. Firstly, there are so many experts in teaching around (namely teachers), it’s not hard to find yourself a consultant or partner. In addition, it’s a field where there is little definitive knowledge, and what there is is largely intuitive. It’s intuitive not because it is trivial, but because it has become part of the culture. Ideas like Learning Styles and Bloom’s Taxonomy infuse themselves quickly in the zeitgeist through every small-town schoolteacher. Finally, there is a genuine obstacle to becoming an eddie, which is that learning games are hard. Like, super hard. Making a game that entertains people is easy compared to making an engaging and effective educational game (I.M.H.O). Still, I think it’s worth trying. To be read in the style of Shirley Bassey. As you may already know, I formed an independent educational game studio called Important Little Games where I’m engaged in making a learning game called Codemancer.